Your inner history buff will appreciate Goryokaku Park and Motomachi. Do your shopping at Kanemori Red Brick Warehouse and Hakodate Morning Market. Get out of town with these interesting Hakodate side-trips: Nanae-cho (Onuma Park Walking Path & Akamatsu Highway). There's lots more to do: take your sightseeing to a higher altitude at Mount Hakodate, steep yourself in history at The Old Public Hall of Hakodate Ward, test the waters at a local thermal spa, and take in panoramic vistas at Goryokaku Tower. For photos, more things to do, and more tourist information, read our Hakodate online travel planner . New Delhi, India to Hakodate is an approximately 16.5-hour flight. You can also do a combination of flight and train. The time zone difference when traveling from New Delhi to Hakodate is 3 hours. Traveling from New Delhi in August, expect Hakodate to be little chillier, temps between 28°C and 23°C. Wrap up your sightseeing on the 6th (Tue) early enough to drive to Noboribetsu. 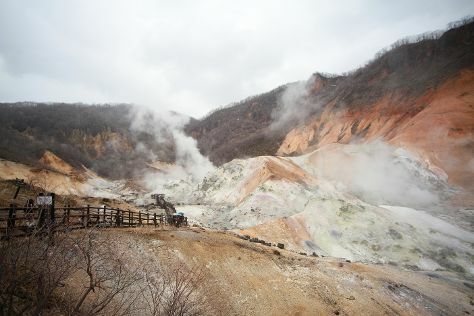 On the 7th (Wed), take in the natural beauty of Oyunumagawa Natural Footbath, soothe aching muscles at some of the top local wellness centers, then witness a stunning natural landmark at Oyunuma, and finally explore the striking landscape at Jigokudani. Here are some ideas for day two: get in on the family fun at Noboribetsu Date Historic Village and then kick back and relax at Denshin Beach. Quickly create a custom-made itinerary for Noboribetsu using our trip planner. Drive from Hakodate to Noboribetsu in 2.5 hours. Alternatively, you can take a train. Expect a daytime high around 27°C in August, and nighttime lows around 22°C. Finish your sightseeing early on the 8th (Thu) to allow enough time to travel to Shari-cho. 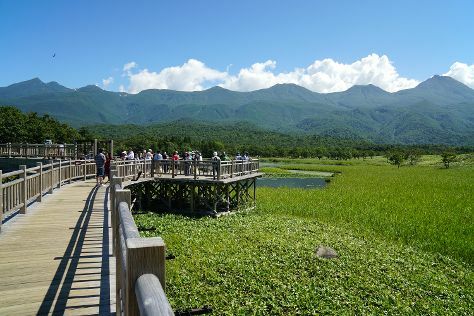 Kick off your visit on the 9th (Fri): identify plant and animal life at Shiretoko Peninsula, then explore the activities along Shiretoko Goko Lake, and then indulge in Japan's hot spring tradition at some of the top local onsens. Get ready for a full day of sightseeing on the 10th (Sat): take in the dramatic scenery at Oshin Koshin Falls, contemplate the waterfront views at Shiretoko Beach, and then take in the dramatic scenery at Furepe Waterfall. To see ratings, more things to do, traveler tips, and more tourist information, read Shari-cho trip app . You can do a combination of flight and taxi from Noboribetsu to Shari-cho in 4.5 hours. Other options are to drive; or take a train. In August, daily temperatures in Shari-cho can reach 26°C, while at night they dip to 20°C. Finish up your sightseeing early on the 10th (Sat) so you can go by car to Asahikawa. Kick off your visit on the 11th (Sun): contemplate the waterfront views at Blue Pond, then take in the pleasant sights at Shikisai no Oka, then meet the residents at Asahiyama Zoo, and finally take in nature's colorful creations at Asahiyama Miura Garden. Get ready for a full day of sightseeing on the 12th (Mon): appreciate the extensive heritage of Asahidake Natural Hiking Route, take a memorable drive along Patchwork no Michi, then take in the spiritual surroundings of Biei Shrine, and finally admire the sheer force of Shirahige Falls. To see photos, other places to visit, more things to do, and tourist information, read Asahikawa vacation builder tool . Drive from Shari-cho to Asahikawa in 4 hours. Alternatively, you can do a combination of car and bus; or do a combination of taxi, flight, and train. Traveling from Shari-cho in August, expect a bit warmer with lows of 26°C in Asahikawa. Finish up your sightseeing early on the 12th (Mon) so you can travel to Shakotan-cho. Shakotan-cho is a quiet coastal town with sandy beaches, viewing points, and an underwater observatory for spotting salmon and sea urchins. 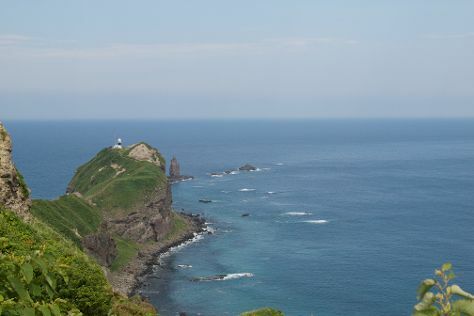 Start off your visit on the 13th (Tue): tour the pleasant surroundings at Cape Kamui, then go for a stroll along the water at Shimamu Beach, and then don't miss a visit to Cape Shakotan. For where to stay, reviews, maps, and other tourist information, you can read our Shakotan-cho vacation planner . Traveling by car from Asahikawa to Shakotan-cho takes 4 hours. In August, plan for daily highs up to 27°C, and evening lows to 25°C. Cap off your sightseeing on the 13th (Tue) early enough to travel to Sapporo. Get outdoors at Otaru Canal and Mt. Okura Observatory. Your inner history buff will appreciate Clock Tower (Tokei-dai) and Hokkaido Shrine Tongu. And it doesn't end there: wander the streets of Susukino, admire the striking features of Former Entomology Lab, take a stroll around Sapporo Underground Pedestrian Space, and take an in-depth tour of Historical Village of Hokkaido (Kaitaku-no Mura). To find ratings, other places to visit, more things to do, and other tourist information, go to the Sapporo road trip website . Drive from Shakotan-cho to Sapporo in 2.5 hours. August in Sapporo sees daily highs of 27°C and lows of 25°C at night. On the 17th (Sat), wrap the sightseeing up by early afternoon so you can travel back home.